A midweek thrashing of Burton Albion has helped towards healing any wounds from last weeks disappointing loss at the Turfmoor. This week a much sterner test, Tottenham away. Though White Hart Lane wouldn’t be the first away ground you’d expect to bag three points, in recent times this part of north London has been very kind to us Reds. Liverpool not losing in the last seven games, winning five and drawing twice. We’ve actually scored nine goals in the last three meetings away and believe it or not Liverpool have not conceded at the Lane since 2012, would like to still have this stat intact after today’s feisty fixture. In a game where both teams need no second invite to attack you’d expect goals, considering there’s been 31 goals between the pair in the last ten, don’t be surprised to see a memorable goal-line. 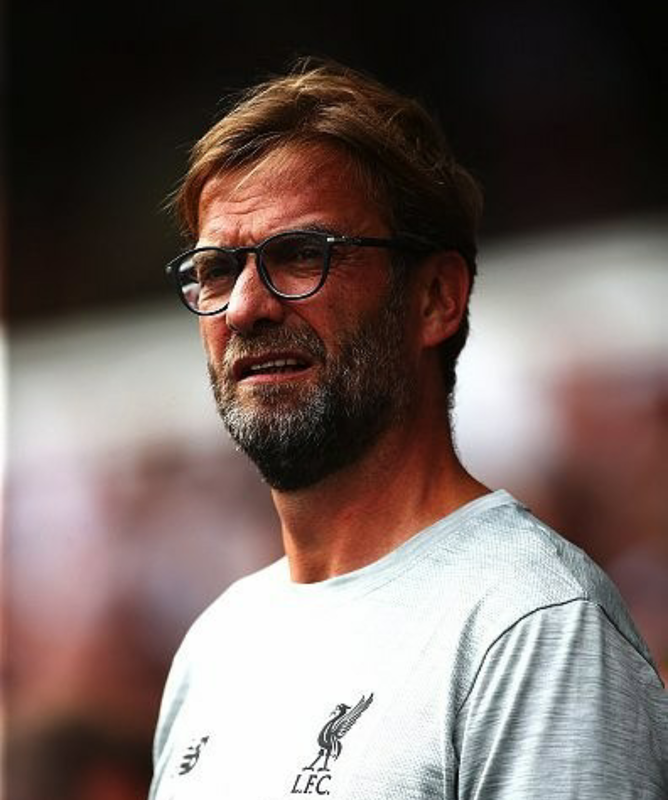 A win for Jürgen Klopp’s men would help erase last weeks disaster and help to get the consistency needed for a sustained run going, against a team team with equal ambition. Liverpool team: Mignolet, Cylne, Matip, Lovren, Milner, Henderson, Wijnaldum, Lallana, Mané, Coutinho, Firmino. Substitutes: Manninger, Grujic, Moreno, Lucas, Sturridge, Origi, Stewart. Tottenham team: Vorm, Walker, Alderweireld, Vetonghen, Rose, Dier, Wanyama, Eriksen, Alli, Lamela, Kane. Substitutes: McGee, Carter-Vickers, Davies, Onomah, Winks, Janssen, Son. As expected a frantic start ensued with both teams pressing hard. Sadio Mané’s pace evident in the first minutes, chasing every loose ball like a man possessed. The first real chance came after Some clever footwork from Firmino, setting up Coutinho on goal in the box only denied by a fantastic Vorm save near post. 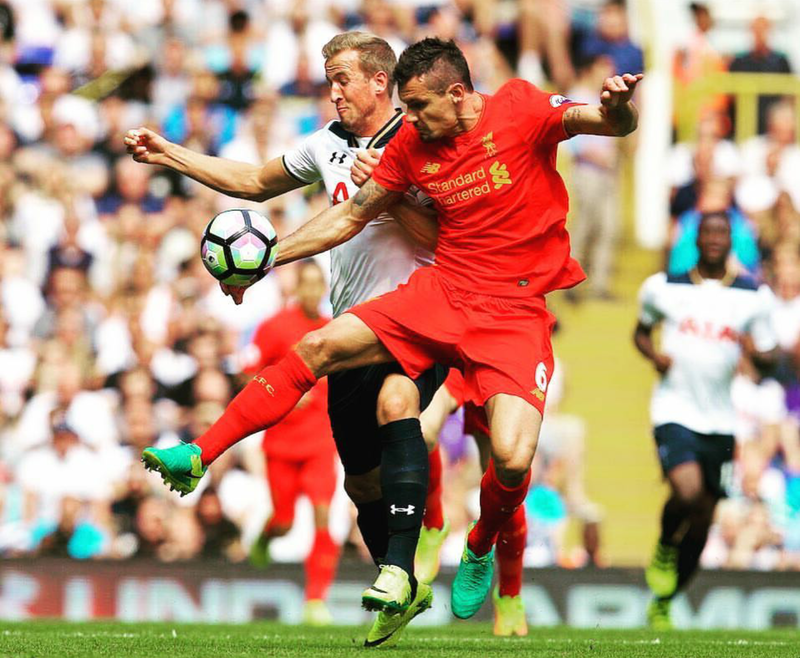 Tottenham started to up the pressure, pushing hard to grab the lead and nearly did after Kane shook of Lovren to get goal side. Fortunately Henderson had read the danger, clearing it away with a perfectly timed recovery tackle. Liverpool trying at every chance to play Mané in and utilise his pace. Luckily for Tottenham Vorm alert to every attack, preventing a couple of near chances for Mané. Tottenham’s man of the match, first half. Klopp furious with forth official after Matip has shirt pulled and impeded by Vertonghen. A severe ear bashing given. Around the 30th minute mark Tottenham looking to put Liverpool under some pressure but good defending/ blocking preventing any real threat. Mané picks up a yellow after some hard pressing on Alli, Tottenham players keen to expose the fact Mané’s on a yellow, needs to be careful. Very high tempo from Liverpool, coming so close but a Coutinho ball just under hit. 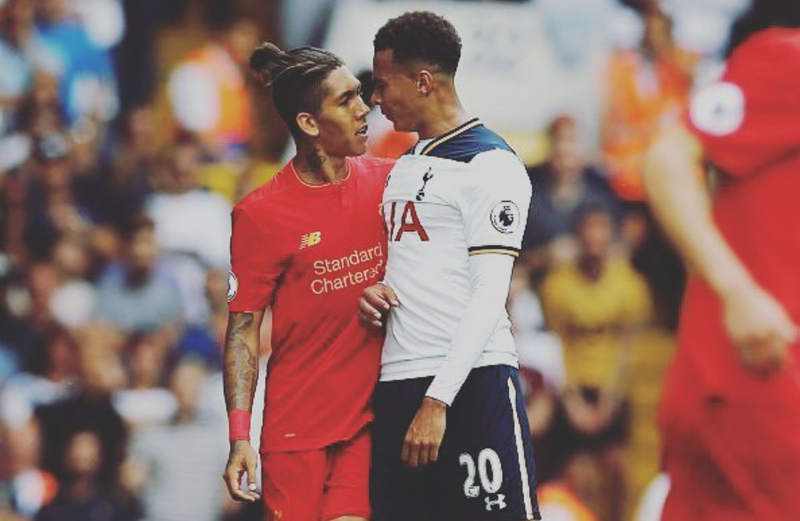 Joël Matip used great vision to pick out Firmino on the far left, who headed straight into the box and a clip from Lamela brought him down. All eyes to the referee. Penalty to Liverpool. Milner steps up and confidently strokes it into the left corner. 1-0 Liverpool. Coutinho gets a soft yellow for obstructing a free kick. The first half ends with Mané at it again nearly laying off Firmino but just coming short. Second half and its Liverpool who continue where they left off, controlling the game well. 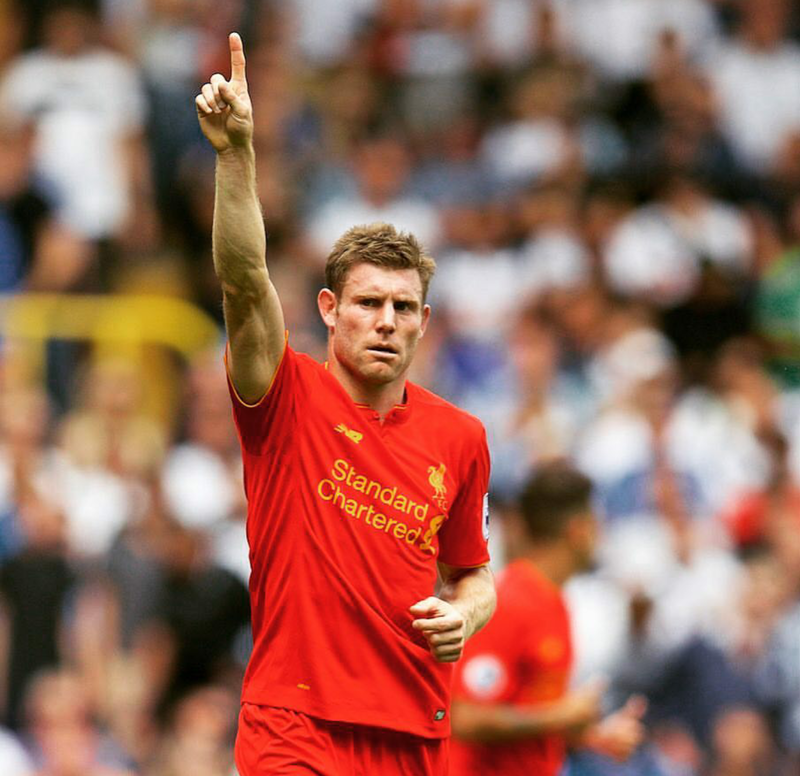 52nd minute, Milner’s corner finds Matip just nodding it over, so close for his first Premier league goal. Some lovely one touch football and Clyne’s near post shot is parried out wide. Great counter from Wijnaldum, plays on Lallana, whipped across goal and its Liverpool’s danger man Mané who smashes a volley into the net. Celebrations fall short as Lallana’s called offside. Very close call, onside in my eyes but disallowed. 50-60 minutes, Tottenham are struggling with the pace of Liverpool. Firmino’s hard graft is often unnoticed but today has been very important to Liverpool’s defending from the front. 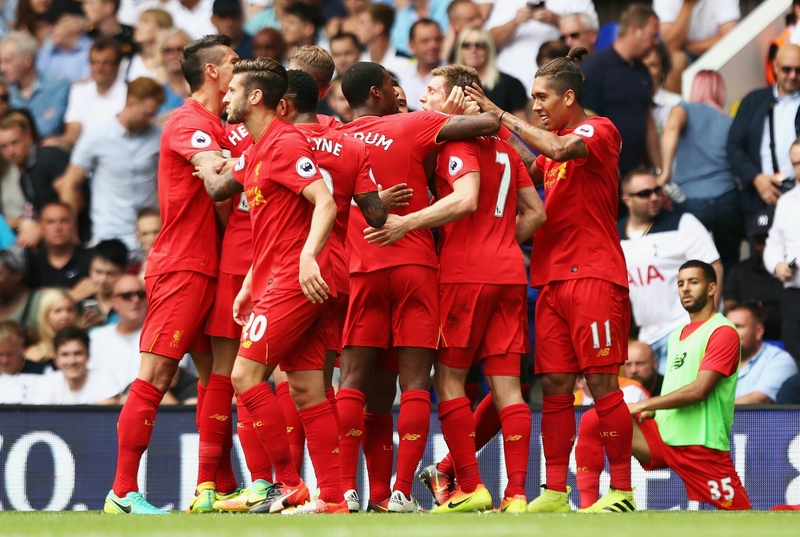 A big Tottenham chance, Alderweireld heading near post but Mignolet producing the goods and makes excellent save. The Reds slowing coming under some pressure here as Spurs are desperate for an equaliser, but Liverpool hold off with some fast, flowing link up play. The away fans in full voice now. Unfortunately though there’s a sting in the tail is coming. Dier flies down the right wing and floats a ball into the box, Matip and Clyne drawn to Lamela but manages to get a touch onto it. The chance falls to Rose, Mignolet rushes him but Rose scuffs the ball with the outside of his foot, scraping it into our near post. 1-1 game on. The tide momentarily turns, Spurs fans now buoyant. Now 1-1 the game is very open, both determined to get the back page winner. A few near chances towards the end of the game, notably a Wijnaldum shot which was blocked by Alderweireld, hint of handball. Hands on his chest, would of been harsh. Sturridge on for the last three minutes in the middle as he wished but not enough time to really effect the scoreline. Full time 1-1. Liverpool used substitutes: Origi, Sturridge, Stewart. Tottenham used substitutes: Janssen, Winks, Onomah. A point a piece it is then, disappointing for the Reds as they outplayed Spurs deserving all three points. Although we looked like snatching a win, don’t be too disheartened. We was a constant threat, defended well obliviously apart from the one chance that fell to Rose, but much more convincing. Forgetting the loss to Burnley, would you have took four points from the Emirates and White Hart Lane? Not a bad return by any means. Many giving the man of the match to Dejan Lovren, but I have to give it to our game changer Sadio Mané. Not effected at all by his price tag and easily our most consistent player. Our turn to man to turn the game on its head, what a signing!